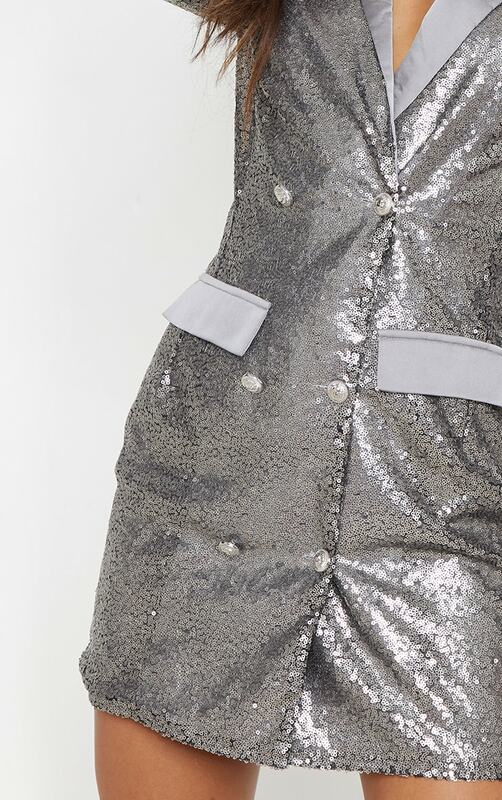 The first thing that springs to mind when you think night out glam is sequins right? This dress is covered in them and you're gonna look insane wearing it. 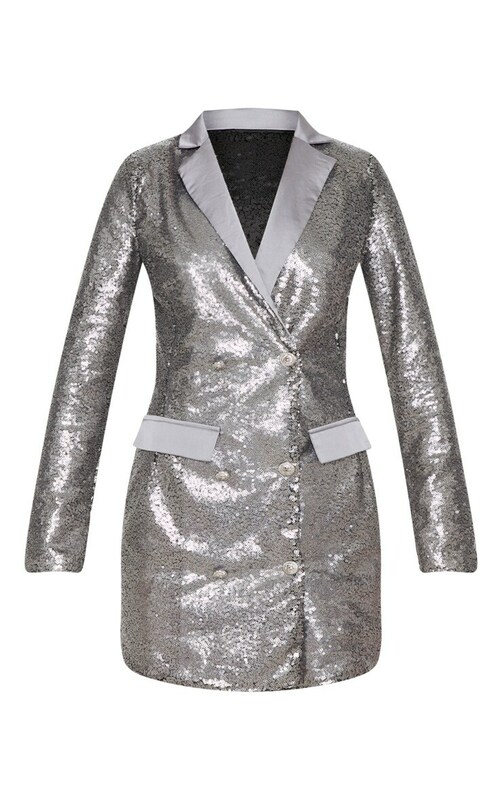 Featuring a pewter sequin material with contrasting satin pockets and button detailing, style with some silver heels and earrings for the ultimate party look.